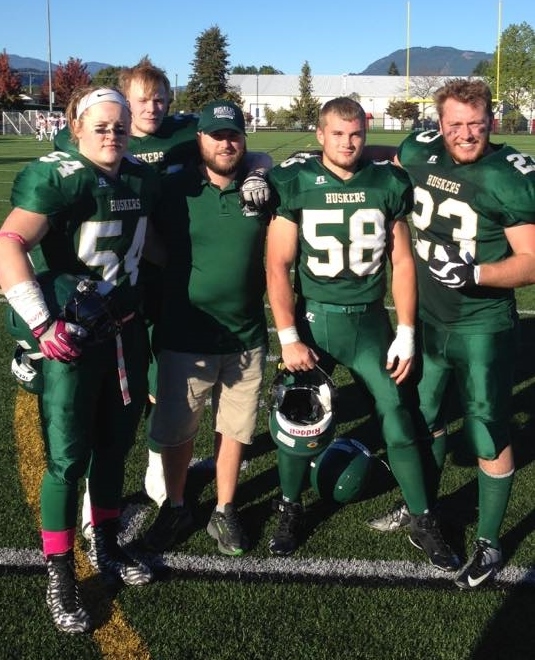 Chilliwack, BC (Langley Rams) – The Langley Rams improved their regular season record to 5-3 with an injury shortened 56-7 victory over the Valley Huskers today in Chilliwack. The Huskers are now 0-8. Rams Quarterback Dylan Tucker threw touchdown passes of 72 yards to Devoun Hallums, 36 yards to Seye Akinsanmi and 42 yards to Khalik Johnson. Rams Rushing touchdowns came from Tucker on a 1 yard plunge, Jacob Patko a 65 yard effort and Ryan MacDaonald from 67 yards out. Brian Hope counted 16 points from 3 field goals, 6 converts and a 55 yard punt single. The Rams defensive unit forced the Huskers to concede a pair of safety touch-backs to round out the scoring. Denis Olivera and Nathan Carrol each had interceptions and Kyle Sagmoen notched a quarterback sack for the Rams. The teams and officials agreed to call the game complete with 2 minutes remaining in the 3rd quarter when a Huskers player suffered a severe arm injury and could not be removed from the field until medical professionals arrived. 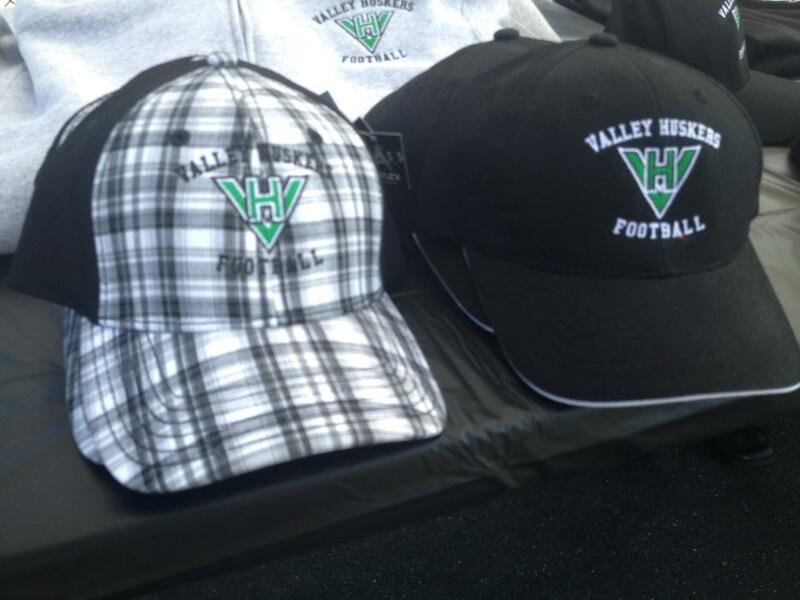 As the season closes, Valley Huskers fans still have time to come out and cheer on their favourite local Junior Football Team and at the same time help fund The Rotary International World Wide drive to eradicate Polio. 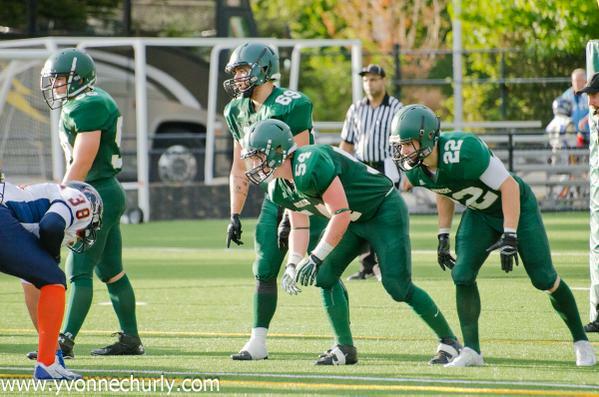 We invite everyone in the community to come and join in the fun for the final game of the season on October 3rd at 2:00pm against the Vancouver Island Raiders. Show your support for the Rotary Club of Chilliwack, the Rotary Club of Chilliwack-Mt. Cheam, the Rotary Club of the Chilliwack Fraser, the Rotary Club of Hope and Rotary Internationals initiative to eradicate polio. Rotary has already made a huge difference in the lives of thousands and thousands of people around the world with their efforts to eradicate this heinous disease and with your help they can be even closer to their goal. With only a few pockets of polio left around the world, the goalposts are in sight and a touchdown is imminent. The Valley Huskers are proud to be on the winning team with the Rotary Clubs of the Upper Valley and assist in their fundraising efforts. 50 percent of the revenue generated from ticket sales at the October 3rd game will be donated to Rotary. Every $5 or more donation will be matched by the Bill Gates Foundation and the government of Canada. Take the time to join us at Exhibition Field for the last game of the season. Tickets are still only $10 for adults with Children twelve and under and Junior Football Players who wear their team jerseys, admitted free. Be the first to comment on "Rams Thumped Huskers In Injury Shortened Game"